Within one day, more than 1,000 drivers in one Maryland county illegally passed school buses, documents obtained by News4's I-Team reveal. Stopped school buses, often offloading children, deploy stop signs and warning lights to alert drivers to stop within range of the bus. 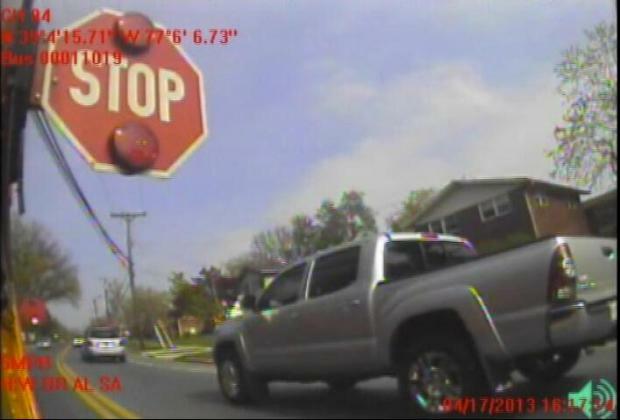 However, Maryland State records show more than 1,078 instances of Montgomery County drivers failing to stop within range of a school bus during just one day in April this year. In Prince George's County the same day, 599 drivers failed to stop, while in Anne Arundel County, 338 drivers did not stop. In Charles County, 128 drivers did not stop, according to Maryland State Department of Education records shared with News4. A particularly dangerous stretch of road for violations, a "hot spot," is found along Riverdale, Md. 's Riverdale Road in Prince George's County. News4's Scott MacFarlane obtained various state documents which show about 1,500 drivers in two Maryland counties bypassed school buses in just one day. Prince George’s County Police Cpl. Scott Ainsworth told News4 a recent spike in distracted driving has heightened the danger for school children. "They have no courtesy for kids," life-long Riverdale Road resident Lisa Peterson said. "They pay no attention and just continue to drive." Many D.C. area school systems are considering adding exterior cameras to school buses to monitor and record violators. Frederick County, Md. has installed the technology, and reports more than 120 violations in recent months. According to a spokesperson, Fairfax, Va. schools are testing similar technology. The Washington, D.C. Office of State Superintendent of Education is also studying school bus camera technology, a District spokeswoman told News4. 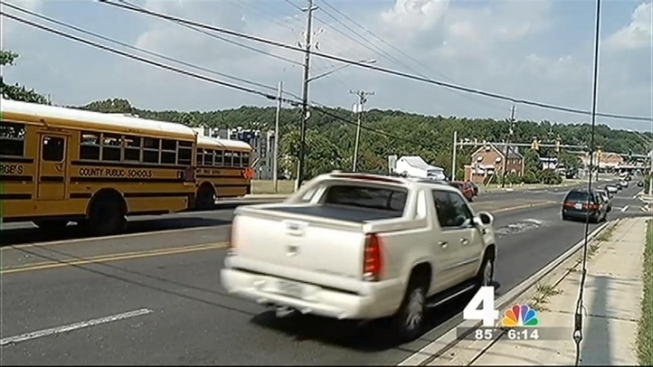 In Montgomery County, 400 out of 1,200 school buses are equipped with cameras. The school district is ready to go further later this year, adding "red light camera"-style video equipment to capture the violators, then forwarding the footage to police.